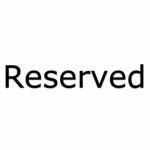 Reserved – Custom Video for R.
Reserved – Video for M.A. Reserved – Custom for B.H. Reserved – Custom B/G Candid Video for J.B.